Beginning Homeschooling? Overcome Fear and Grow in Confidence. Let me share with you some of my first impressions of homeschooling, and through this page, I'll give a bit of advice to my younger self and hopefully give you confidence to begin! In my early days, I visited a family who had quite a lay-back approach and was really impressed by the warmth in the home and the creative projects they were doing. I wondered – how does that happen? The first book I read on homeschooling was “For the Children’s Sake” – describing a beautiful Charlotte Mason style approach with a high view of children. I thought, “My children are such a gift. I want to treat them as persons in the sight of God.” I then went about the process of learning, researching and discovering what I believed was an important education for our children and at the end of the day I came to certain conclusions through reading, researching and discussing things with my husband. I’m not sure that if I were starting again 25 years ago – whether I would actually have listened to advice to my younger self. It’s almost the same as bringing up little children. Before we have children of our own, we believe that everyone else’s child may throw a tantrum in the supermarket, but ours certainly won’t. We begin with the ideal, sometimes inaccurate and sometimes unachievable set of weighty demands which we place on our own shoulders. And although we do that to ourselves – it is very difficult for us to hear the people who gently try to share reality with us. When we first began homeschooling, one of our dominant desires was to deliver a high standard of education for our children. There were a number of motivating factors involved. I know that we were deeply convicted to raise our children in a Christian environment and prepare them to love and serve the Lord Jesus Christ. We wanted to equip them for that and also to steer them forward acknowledging that God has created them unique and for a unique purpose. Mixed within all that, I really wanted them to have a broad understanding of everything! And so – I mapped out their education – all the way to year 12. 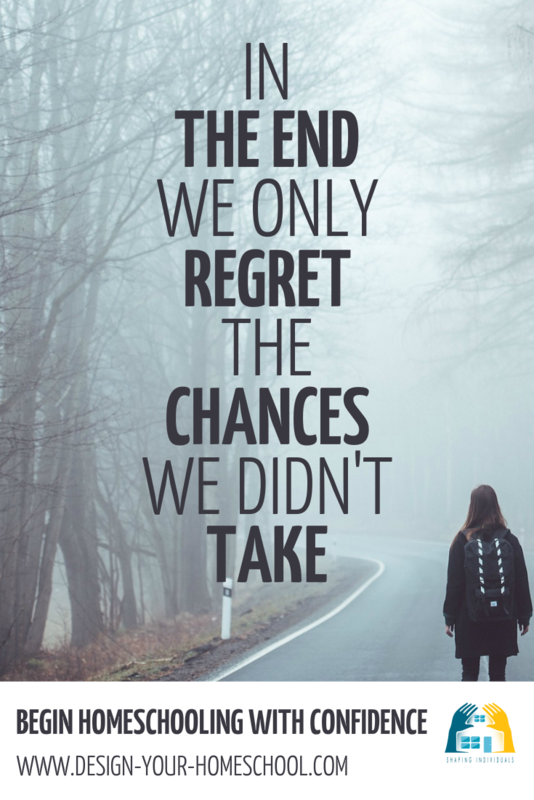 Just choose something and go with it! And it is all good advice, but in reality you need to be who you are. If you are a “go with the flow” type of person – God knows that already and the advice above may already be the lifestyle you are living. 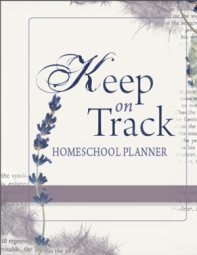 If you are a “I’d like to be organized and know where I’m headed person “– more detailed and methodical - the advice you hear above may be so foreign to you that you may be tempted to think if that is what homeschooling ought to be, I don’t think I can do it! 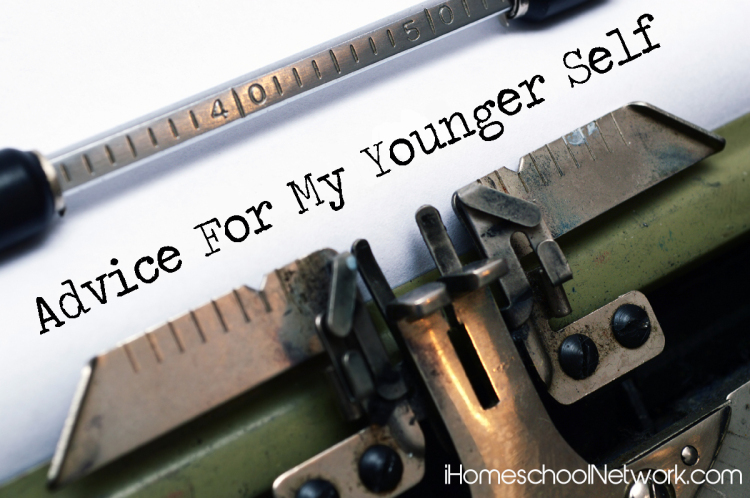 So, if you are beginning homeschooling right now... this is my advice as if I was advising my younger self. As many of us are prone to self-doubt, I think these things would have helped me to step out on the homeschooling journey with more confidence. God created you and knows you. If he has placed the conviction to homeschool on your heart – He hasn’t made a mistake and you don’t need to feel insecure and ill equipped. He will equip you as you are. If you want to research and plan – do it… but do it without anxiety (see number four) and also be aware that most likely your plans will change – and that that is okay; If you feel you need to be more organized, work on it; Allow yourself to be transformed and equipped for what lies ahead but also realize that the future will in all certainty look different than what you envisage today. This is the incredible blessing of homeschooling! Invest in your children. Get to know their hearts, what makes them tick, what their passions are, the gifts that God has given them. Then, become their guide, support, teacher and cheer leader. Enjoy this time by really living life with them – face struggles and share joys with them. So, if you are just beginning homeschooling - get prepared for challenges and blessings of sharing life! Really knowing the children that God has given me helps me to plan for them, and not for someone else. Once I realize that they are unique in every way - their talents, their strengths, their ability - I can really take hold of the fact that what we are doing will be different than someone else. I am not supposed to replicate what others are doing. I can borrow ideas, join together for activities - but I should also step out confidently planning a program that suits the individuals I have in my house. What is the ultimate treasure that you want to give to your children? That treasure will be the motivating factor in your heart and you need to keep this foremost in your action plan. Be yourself. Be as equipped as you can be. Don’t let the plan of others rule what you do, but most of all – trust God. He holds the future in His hands and with prayer bring all your requests to Him believing that God will plan the course of study, open the doors, guide you and make His way known to you. You are not on your own! Don’t beat yourself up! Don’t compare and try to fit the mould of someone else or some other family; Seek God and His plans for your family; Look to the future, but also understand that many are the plans of a man’s heart, but the Lord determines his steps. Live real life with your kids and create an atmosphere where love and learning go hand in hand … and believe, truly believe that you are not on your own! 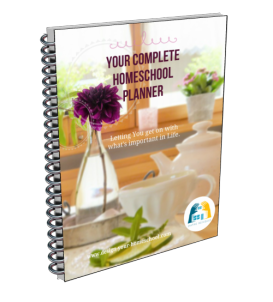 This post is a part of the iHomeschool Network's blog hop. Take some time to read the wisdom from other bloggers in this series.